My 2004 Maxima has been very reliable as was the Maxima that I owned previously. I purchased it used in 2013 and have been extremely happy. My mechanic cannot believe how this car runs for a 14 year old. In fact he offered to buy it from me. This vehicle has comfortable seating and it has climate control that has not failed. The vehicle has needed very basic and the usual repairs for a "mature" car. I had the brake pads replaced twice in 5 years, exhaust pipe replaced and a new radiator was needed last summer otherwise nothing very costly. My input on a Nissan Maxima. 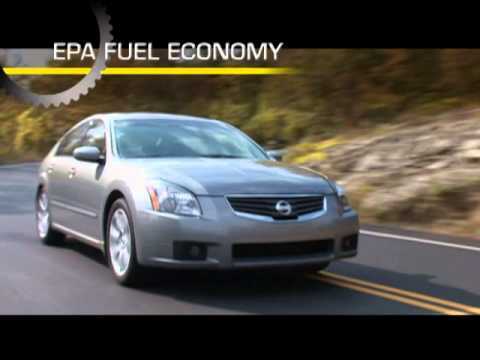 2004 Nissan maxima review. . Love my car! I really love my Nissan maxima, the drive is smooth its excellent on gas. I haven't really had to many problems with it. The car is reliable. I have had some issues with what the flapper. Which makes the car sound as if it needs an oil change. Parts are kind of expensive for this particular vehicle but I believe that goes to show that the car is a quality car. ON CERTAIN PASSENGER VEHICLES EQUIPPED WITH SKYVIEW ROOFS, THE GLASS FOR THE ROOF MAY NOT HAVE BEEN QUENCHED PROPERLY AFTER THE FORMING PROCESS, RESULTING IN TEMPER IMBALANCE. THIS COULD CREATE EXCESSIVE INTERNAL STRESS IN THE GLASS AND EVENTUALLY CAUSE THE GLASS TO SHATTER, CREATING A RISK OF INJURY. DEALERS WILL INSPECT AND REPLACE THE GLASS IN THE SKYVIEW ROOF. THE RECALL BEGAN ON SEPTEMBER 7, 2004. OWNERS SHOULD CONTACT NISSAN AT 1-800-647-7261.